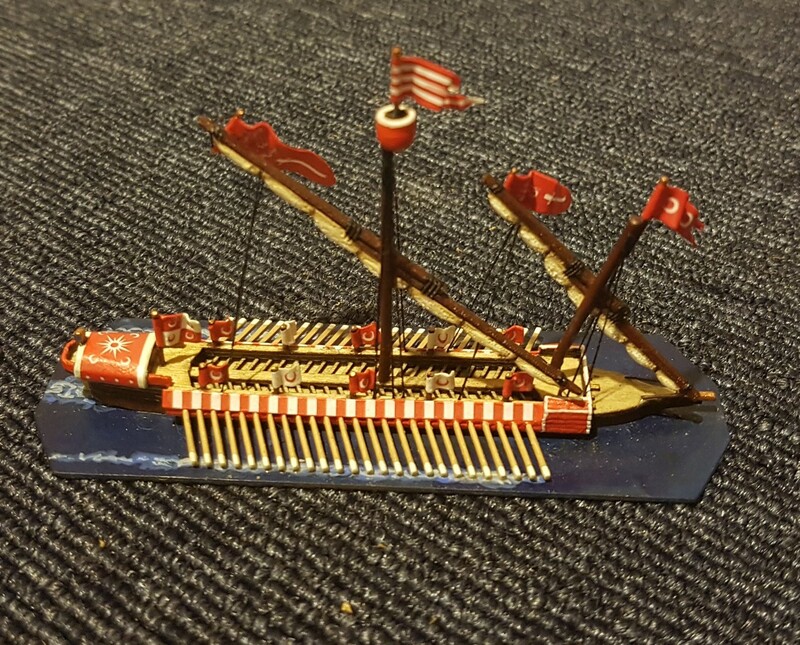 Pergamon rebels against the cruel dominion of Rome! 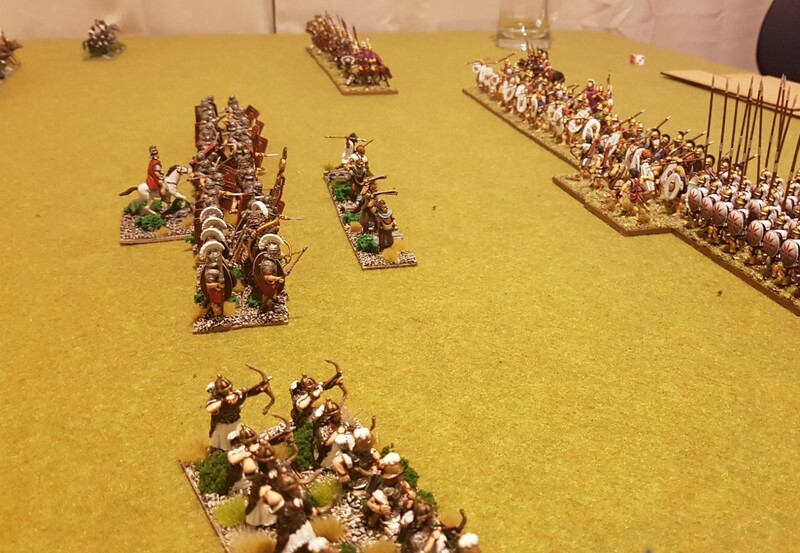 Ancients ADLG in 28mm. 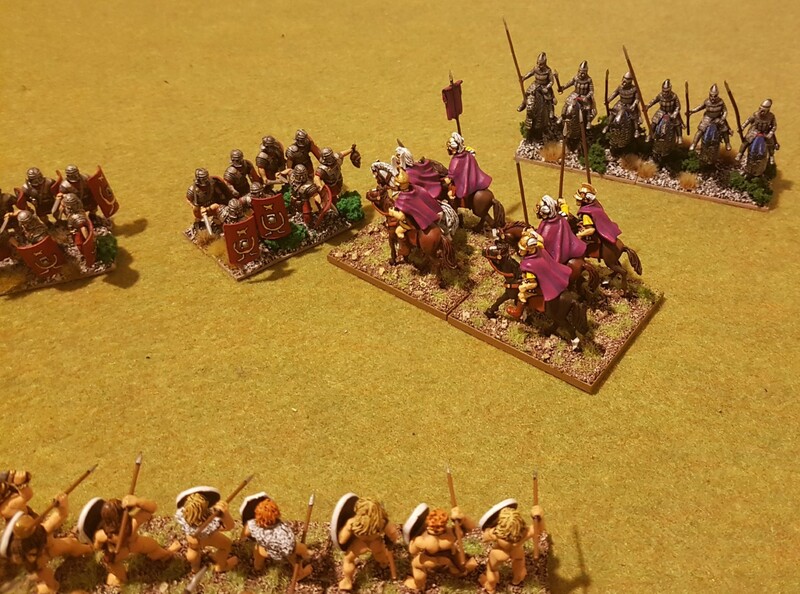 Roman left wing - Cataphracti, Cavalry and Numidian Light Horse under an Ally general. 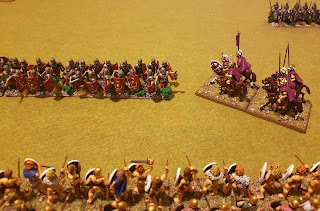 Roman centre, Elite Legionnaires under a Strategist General, and some skirmishers. 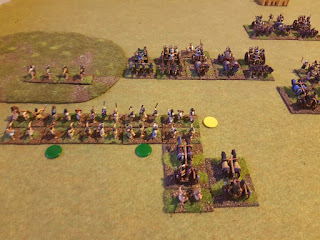 Roman right wing - Auxiliaries and bowmen. 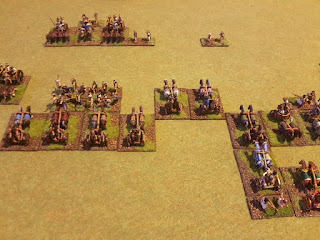 In lower half of photo below, Pergamon army from left to right, Heavy Spearmen, Pike, Mercenary Galatians (6 of the 8 units being under the command of an Ally General), and then Lancers and Light Horse. 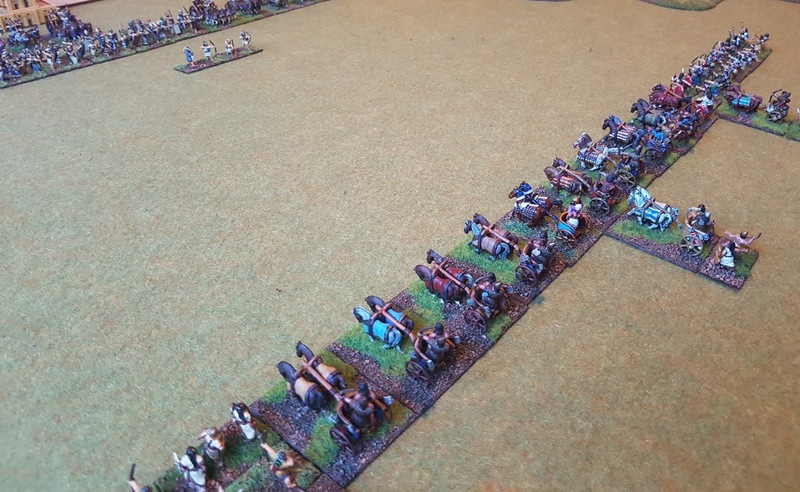 The Roman left cavalry wing (right in photo), is unreliable and won't advance, so my Pergamon army advances to crush the remainder of the Roman army while they hesitate. 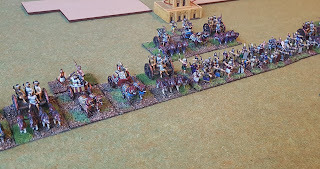 With Roman Cavalry still not committing, my CinC charges the weak point of the Roman line in heroic Alexandrian fashion! Legionary on the end of the line waving a Galatian head around re-thinks his life choices. 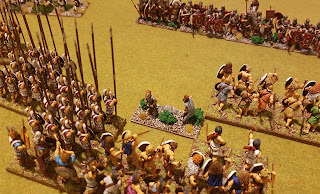 Last survivors of a bloody skirmisher battle between the lines! 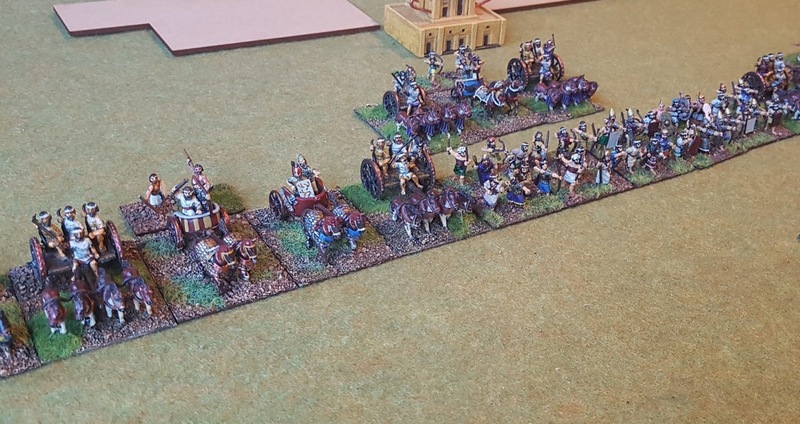 But then with perfect timing (and threats from the Roman CinC) the Roman cavalry suddenly decides to commit to the battle, flanking my cavalry charge! Just in time to save the Legion. And on my left, the Roman Auxiliaries have managed to flank my spearmen too. Legionnaires now feeling more confident, having tempted in my cavalry! And carnage ensues! The Legionnaires with their Strategist General rallying them to renewed effort time and again, cut through the Galatians and only lose one unit. On my left my spear is decimated by the flanking attack, but manages to rout the bowmen. 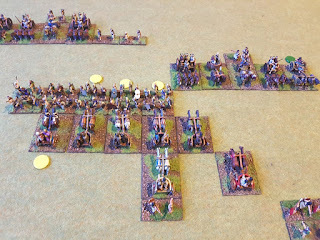 I had spent my points on more troops rather than good generals! 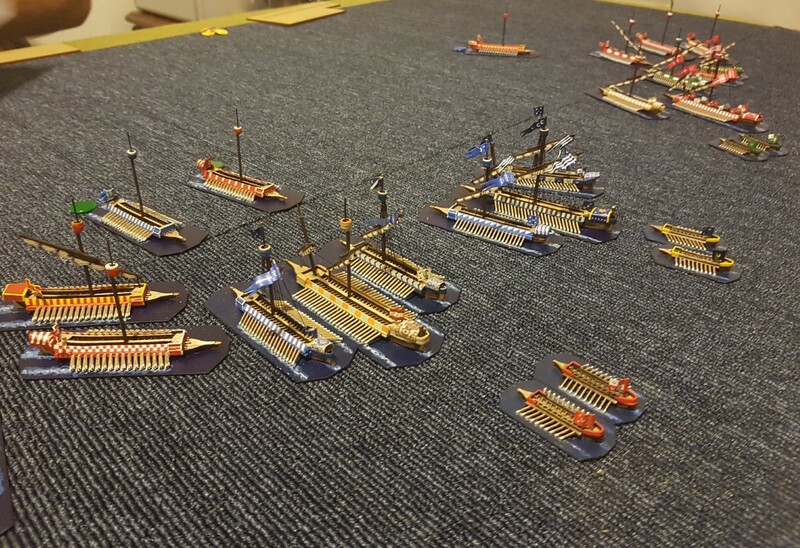 I can neither rally my troops nor send in reserves - especially with my generals all fighting in combat and distracted! The Pergamon army breaks, but the Roman army is also only one unit off breaking. A close run thing indeed. 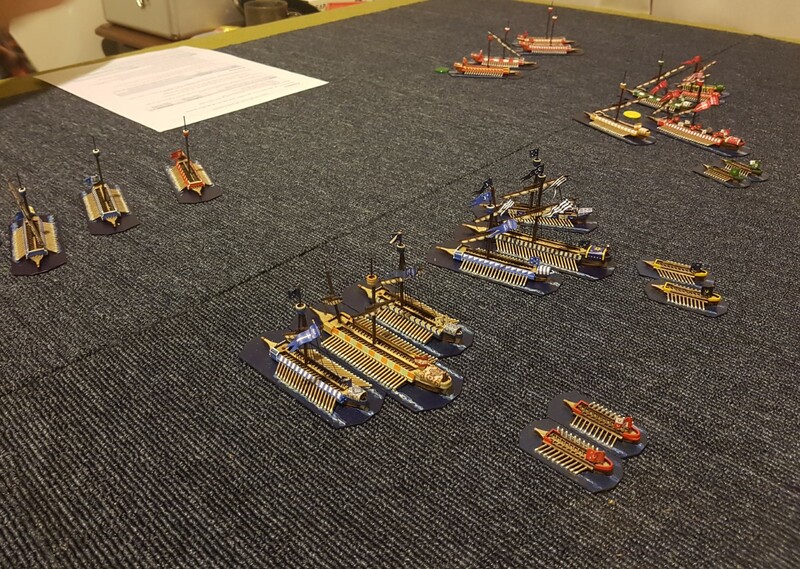 Something a bit different, some Renaissance naval combat tonight. 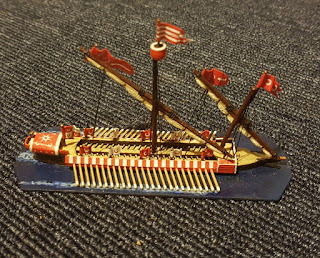 Andrew has made many beautiful models of Renaissance era galleys, lasercut for the most part, and with pretty painting, banners, rigging etc. 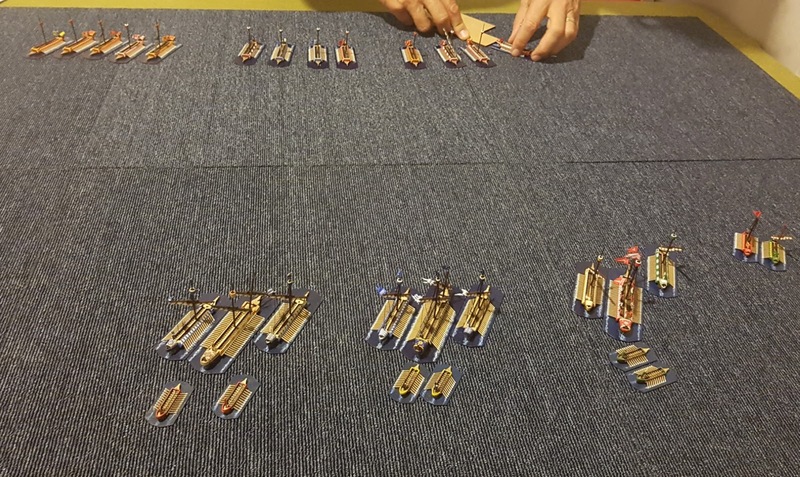 We lined up a Turkish vs Venetian fleet. We played using this fast play set of rules, which produce a very fast game. 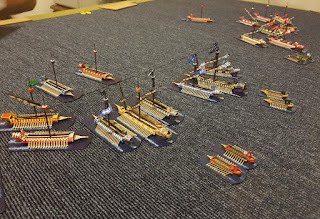 They have some loosely DBX inspired mechanics. 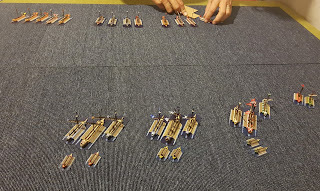 In addition to some limited but still useful gunnery, boarding is the main way of disabling enemy ships. 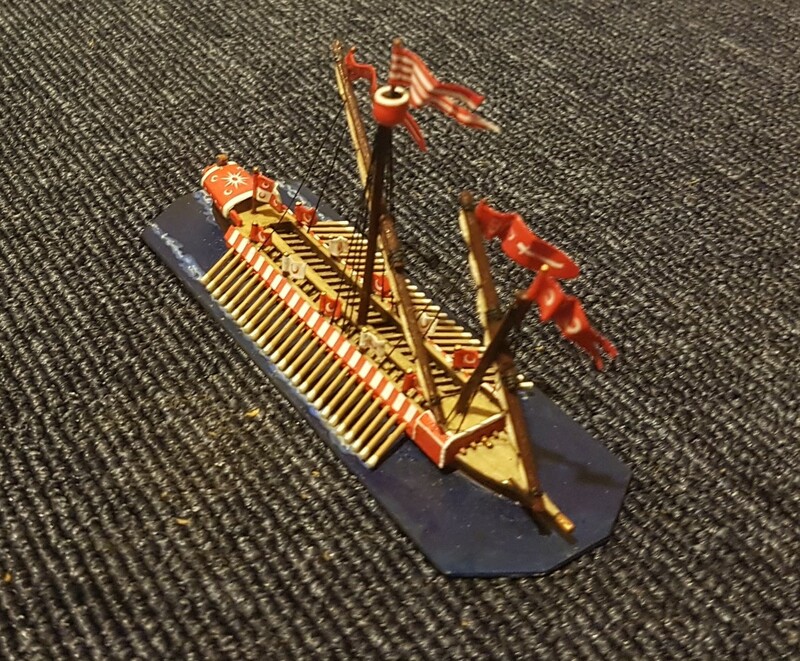 Victory to the Turks in this game, with the Venetians being somewhat outmatched. 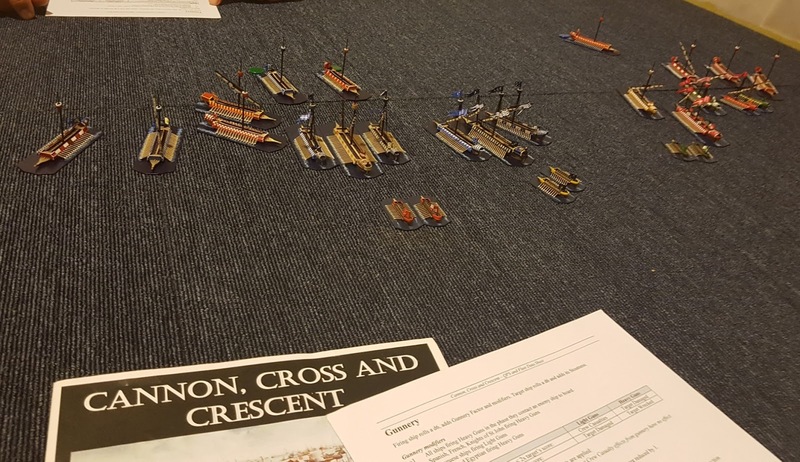 Incredibly brutal with masses of wrecked and tangled ships everywhere blocking movement and fire, which seems pretty historical. 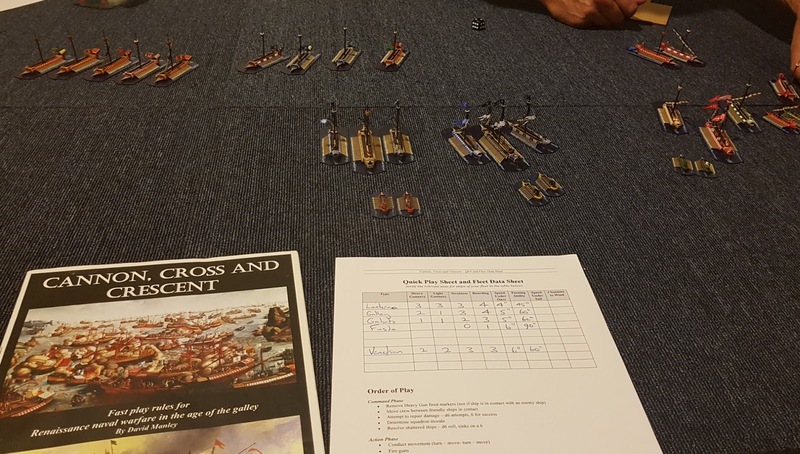 We will give the rules a try again next week.